Wôlinak, which means “at the bay”, was founded in 1704. 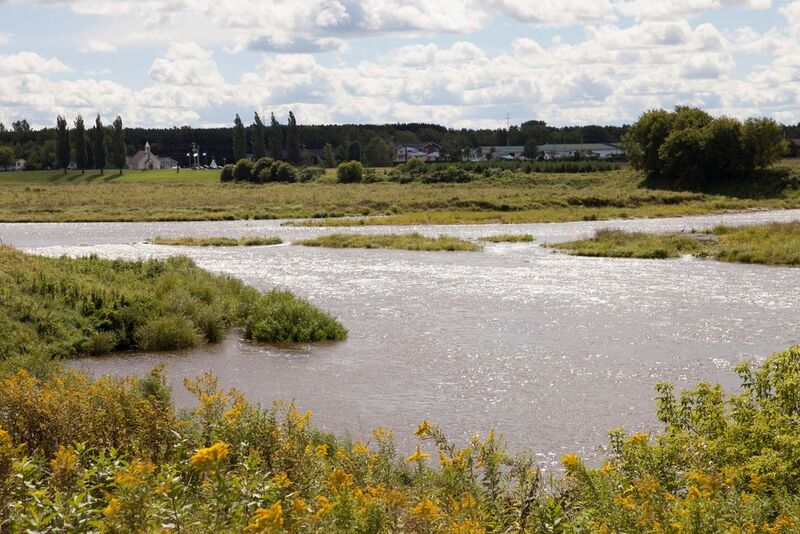 It is one of the two Abenaki communities in Québec and is located on the banks of the Bécancour River, near the town by the same name, in the Centre-du-Québec region. Many of the Abenaki who settled in Bécancour were from Mégantic. When they first arrived, they settled on an island that is now known as Montesson Island. A chapel was erected there for these Abenaki, who were Christians. After living on the island for over 30 years, the Abenaki had to move to Île aux Sauvages when the Seigneury of Bécancour changed hands. They had to move again in 1735, to the place where they now live, known as Wôlinak. 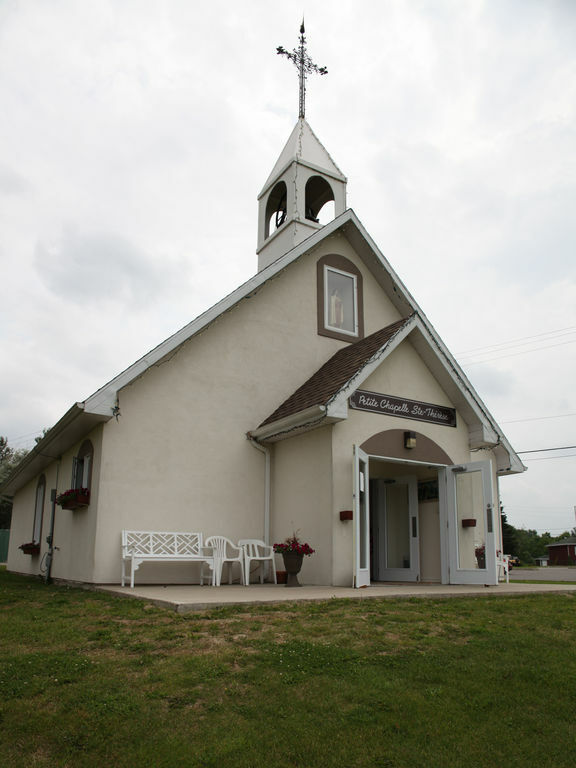 The church built at this spot welcomed settlers from the surrounding region, until another church was built in Bécancour. In 1757, French colonists unhappy with the fact that the intendant had given land to the Abenaki set fire to the church in Wôlinak. The cross on the bell-tower was saved from the flames and now stands in the middle of the village. The bell is in the provincial parliament building in Québec City. In 1812, while most Abenaki were away fighting to defend Canada, part of their land was seized by French colonists and Jesuits. The land that remained in their possession after the theft is the land that the Abenaki of Wôlinak have occupied to this day. 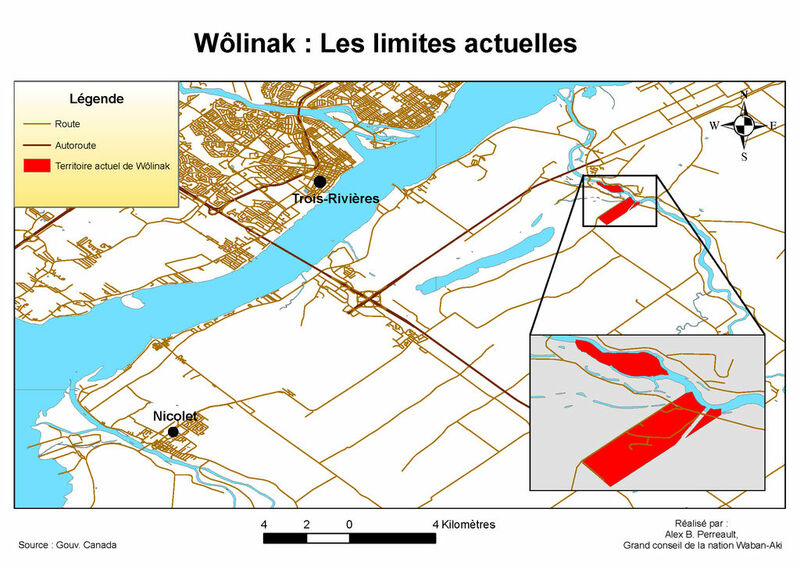 The territory of Wôlinak currently covers an area of 700 m2. One hundred Abenaki at the most still live there. The community’s economic activities are based mainly on crafts, commerce and manufacturing. Wôlinak also has its own band council, as well as access to the services offered by the Grand Council of the Waban-Aki Nation. The Wôlinak’s Pow-Wow takes place in August, for a weekend. A Pow-Wow is a gathering where the First Nations peoples meet, dance, sing, socialize and honor their culture. Pow-Wow may be private or public. Wôlinak’s Pow-Wow is open the general public and free for everyone.